The world was first introduced to the concept of having Android on a watch some time early this year from a company called i’mWatch. Most of what we saw was a bunch of renders leaving skeptics in the room (that would be us) to assume this product would never actually makes its way to the market. We may have been proven wrong, as the i’mWatch team has introduced their product officially in the states. From what we can tell though, the product won’t be available any time soon in the U.S., but with their announcement coming at the ARM conference this past weekend, we are at least getting closer. So what is i’mWatch? 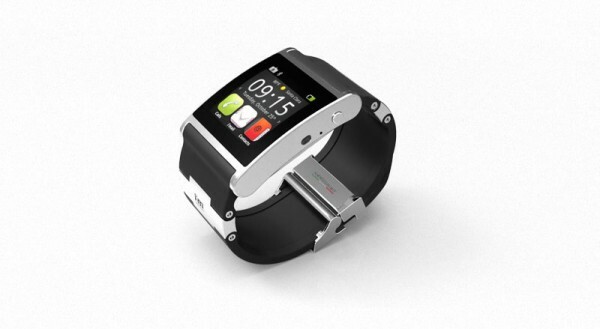 It’s Android on your wrist. The MotoActv product that Motorola introduced will probably end up being much more polished and stable as they are a mega-company, but the i’mWatch team appears to be at least focusing on more than just the OS. These watches actually look pretty nice. They have a variety of colors, plus luxury versions to fit almost anyone’s price needs. Speaking of the OS though, it’s a custom version of Android that has its own app and music store that will be on display at CES in January. A video has been released that details the product, starting with the foundation and going all the way through the team itself. If you want to get straight to the watch, just to the 2:30 mark. To find out even more, hit up the i’mWatch site. Does a watch running Android interest you? Apple Wins "Slide To Unlock" Patent, More Lawsuits Imminent?